In part 1 we looked at how voice search is set to play a key role this year, with featured snippets being the main target on a search page if you want to be the answer that Alexa and Siri read out from your prospects start asking questions. 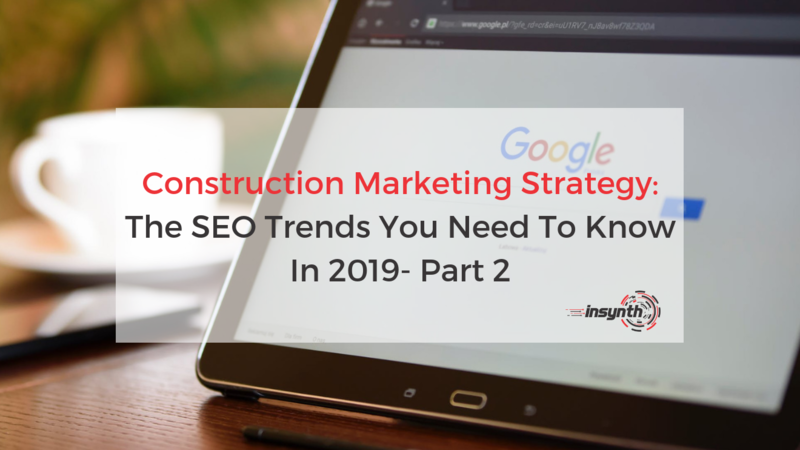 In part 2, we’re going to look at how building your authority through showcasing your expertise and trustworthiness can help you to drive traffic and conversions on your building products website. In part 3, we will explore the rise of image search, and how the camera on your phone will soon becoming a game changer in organic search. It goes without saying that if your prospects don’t trust you they won’t buy from you. Think about the way that you search when you need a product; do you buy from the company listed on page 2 or 3 of the search results? Do you even scroll page result 3 on the first page? This is true of most people. The top 3 ranking sites on search pages make up over 58% of the clicks through to site compared to anything below it. That’s because these sites, most critically the top one, will have been ranked there because of the authority that their content gives them. This establishes them as experts in the space, giving trust signals to visitors who are then more likely to buy from them. You can improve your authority by getting high-quality backlinks from other trustworthy websites with high domain authority. By achieving backlinks from these kinds of sites, your domain authority will grow. This is a key signal to Google that your website is trustworthy, and you’ll be more likely to score top ranking positions as a result. You can further establish trust with your audience by understanding user intent on your site. Research what kind of content your audience are most engaged with. Do they prefer a blog or a video? Are they listening to your podcasts more than they’re reading your social media posts? Understanding what content your audience are most engaged with will allow you to tailor your content marketing accordingly and establish stronger levels of trust with them. You can also research what kinds of questions your audience are asking when they’re searching the internet for companies like yours. You can do this by understanding and researching your buyer profiles and buyer personas. You can use this to create featured snippet friendly content, specifically targeting at answering your audience’s questions with the right keywords to help you demonstrate your expertise and establish your building products company as an authority in the space. 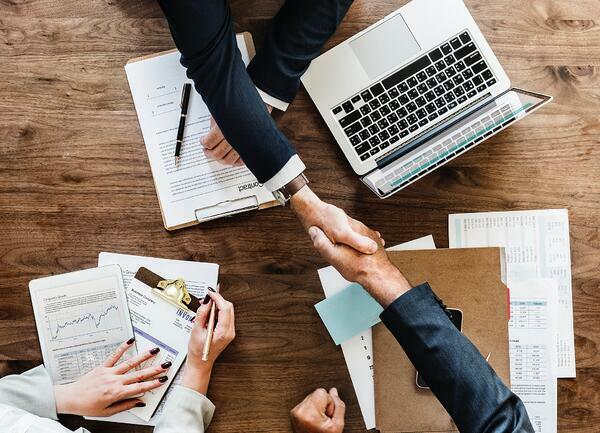 Just like you wouldn't make a purchase from a seller you didn't trust, you prospects are unlikely to browse on your site if they don't see the right trust signals coming from your pages. Through the creation of high quality back-links you can raise your building products company's domain authority and climb the rankings on Google to positions that are more likely to get clicks from searchers. Understand what content you audiences are most engaged with an adapt your content marketing strategy around this along with your keywords and your Google rankings will shoot up in 2019! 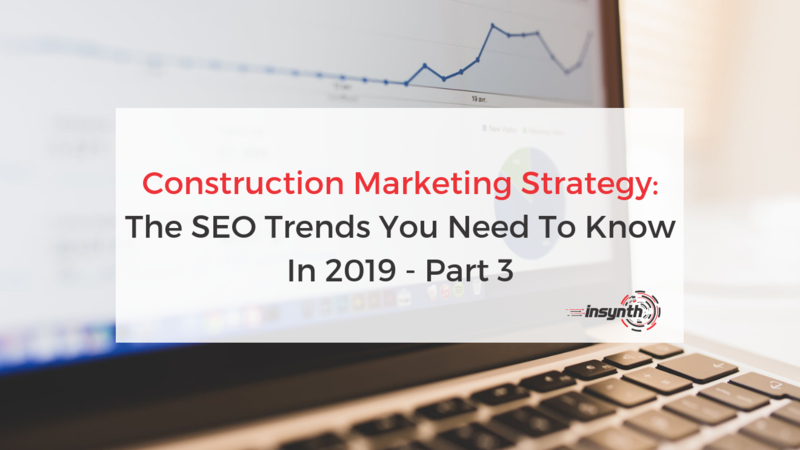 In part 3, we'll be looking the growing trend of image search and that will affect how you execute your SEO in the coming year. 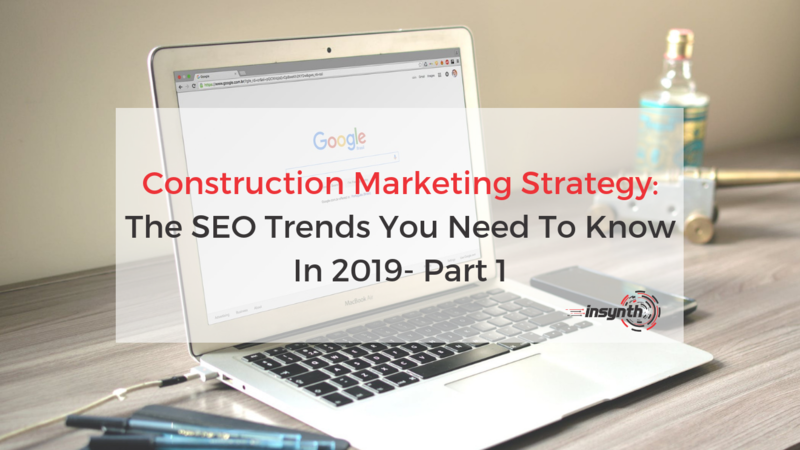 Would you like to find out more about how SEO strategies can help you to grow better in 2019? Click on the CTA below to speak to a construction marketing expert today!